That I must respect you for these things. I am your daughter, but this is my husband. I must be loyal to my husband. In this body of text, Desdemona is arguing with her father as to why she should be loyal to her husband as opposed to him. First, Desdemona uses terms of endearment when addressing her father, using pathos to sway his judgement. She then proceeds to thank him, in a way, for what he has done for her, expressing her thought that she owes him much for her education and her life itself. From there, Desdemona explains that her husband matters more to her now than her father. To prove her point, Desdemona compares her situation to her mother’s when her mother chose loyalty towards her husband over her father. She does this to draw on her father’s sympathy. Allow me to put this down for you to pick up. This bit of info is going to help you understand the situation. So listen up cause this is going to change things. You are only calling more negativity to you. You hurt the ones trying to take you down. In this paragraph, the Duke is telling Desdemona’s father that he needs to look at the situation of his daughter marrying Othello behind his back in a different light. He tells him that hanging onto his negative emotions about Desdemona’s marriage isn’t going to get him anywhere; that if anything, it will just draw more negativity to him. The Duke instructs Brabantio to leave his anger and feelings of betrayal behind because there is nothing he can do about the situation. By showing that he is unaffected about the situation, he will better get back at his daughter and Othello. 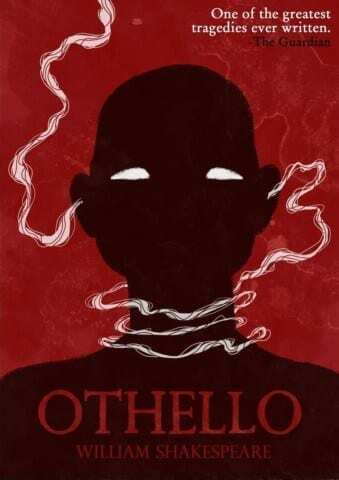 Othello Post #1 by Kira is licensed under a Creative Commons Attribution-ShareAlike 4.0 International License.